Whether it is a software or infrastructure as a service (SaaS/IaaS) almost everyone is relying on the cloud. Have you considered how this impacts your GDPR strategy? In this whitepaper we set out to clarify the role of cloud service providers as well as users of cloud services. 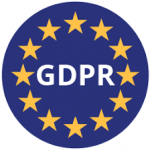 1) What is your role(s) under GDPR? 2) What is your SaaS provider’s role(s)? 3) If the SaaS provider is leveraging the cloud (think AWS or a third party data center); what is their responsibility? This entry was posted in Privacy Compliance, Regulatory Compliance, Whitepapers and tagged GDPR, Privacy. Bookmark the permalink.